ADVAN delivers Cleveland website development services to achieve your business goals. ADVAN provides professional website development in Cleveland Ohio for businesses. We make sure your company is able to meet your marketing goals and establish a great presence online. How are we different from other website development companies? We get results. 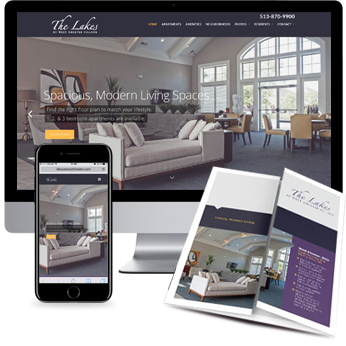 We know you want your site to look good – and we’ll make sure it does – but the best design accomplishes more than just looking good. We’ll build you a site that serves as your main lead generator, so your investment is worthwhile and helps you grow your business. Our sites feature high-level marketing to help you stand out from your competition. We build custom websites that ensure your customers know you are qualified to do the job they need before they even contact you. We can help you overcome one of the most important and frustrating challenges of online marketing – SEO. SEO improves the odds your site will appeal to search engines and appear high in search results. Ideally, your site will appear on the first page of results, so potential customers aren’t forced to wade through pages of results to find you – which they won’t do! Our goal is your business shows in the top four results anytime someone searches for your services or products. This is accomplished through on-going SEO support to help you reach the top and remain there. Our mission is simple: To create a site that serves as a major source of new business for clients. We take the time to gain an in-depth understanding of your vision and goals, develop that into online marketing solutions and help you achieve business growth. This includes giving you feedback and helping you make changes when something stops working. Our website development Cleveland Ohio team features some of the area’s top creative design talent. Our company has more than 15 years of website development and SEO experience, making us able to deliver the BEST design and online marketing for you. We’re a full-service digital marketing agency with a team that includes talented graphic designers, website designers, and developers who work out of an open-space office. You’ll work directly with our creative staff and have hands-on input into the design of your site. To learn more or to set up a time to discuss how we can help you with online marketing, contact ADVAN at 330.688.1324 or submit your questions via our contact form and we’ll respond as soon as possible.